Whether you need to protect your home, secure an industrial facility, or even restrict elevator access, Coast Safe & Lock delivers options. Our team of professionally trained security specialists will visit your home or business facility to discuss wireless access, recognition software, video & CCTV systems that allow entry to your family or designated employees. 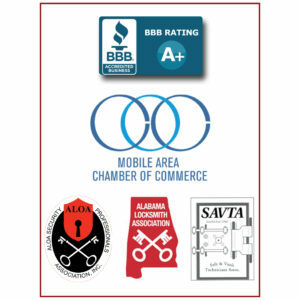 Contact us today to schedule a consultation at (251) 479-5264 or e-mail us at Info@CoastSafeLock.com. Be Sure to Follow Us on Social Media.